The Northern Explorer train service is a scenic rail journey through the five unique geographical regions of the North Island - travelling between Auckland, New Zealand's largest city - home of the Sky Tower, through the central heartland of the North Island to Wellington - New Zealand's harbour capital and arts and culture centre. Along the way, you will see fantastic views of New Zealand farmland, rugged bush landscapes before ascending up the world famous Raurimu Spiral to the volcanic plateau passing the majestic volcanoes of Mt Tongariro, Mt Ngauruhoe and Mt Ruapehu - the home of the North Island skifields and descending through stunning river gorges to the farming landscapes and rocky sea scapes of the lower North Island - all from large panoramic windows and the open air viewing deck of the Northern Explorer train. 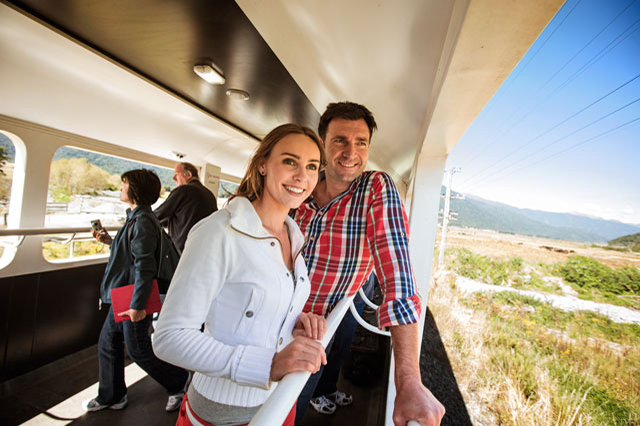 The Northern Explorer carriages have an advanced air bag suspension system for quieter and smoother travel, un-tinted, non-reflective, panoramic side and roof windows to capture the dramatic coastal and mountain views of the magnificent North Island. GPS triggered journey commentary in five languages at your seat via headphones, plus information displays and overhead HD video and are centrally heated/air conditioned for passenger comfort. Each carriage has onboard washroom/toilet facilities, with '2 Seat-Aisle-2 Seat' seating either as reclining forward facing seats with head and foot rests or 'Table Group' (4 people around a table) seating allowing you to experience the amazing views of the magnificent North Island, through panoramic side and roof windows, while enjoying the company of other passengers. 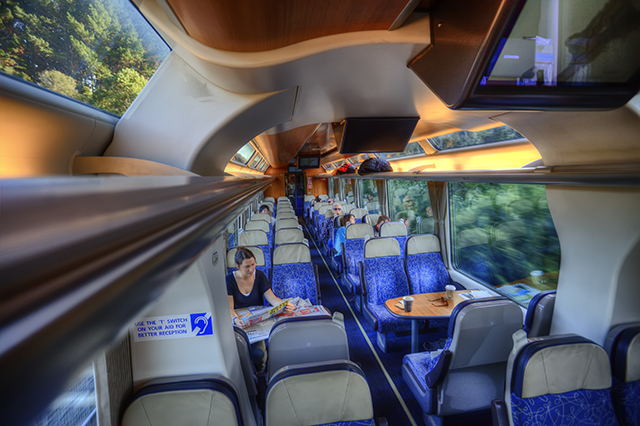 The Northern Explorer train has a café carriage offering a range of alcoholic and non-alcoholic drinks, snacks and light meals and a viewing carriage for sweeping views of the North Island. For mobility-impaired passengers, there are spaces for wheel chairs and a disabled public toilet. Wheelchair hoists provide access to the café carriage from track level. For hearing-impaired passengers - a hearing loop covers all of the café carriage saloon and serving area. The Northern Explorer train is a reserved seating 'One Class' non-smoking service. Stops along the way include Papakura, Hamilton, Otorohanga (Waitomo), National Park, Ohakune, Palmerston North and Paraparaumu. 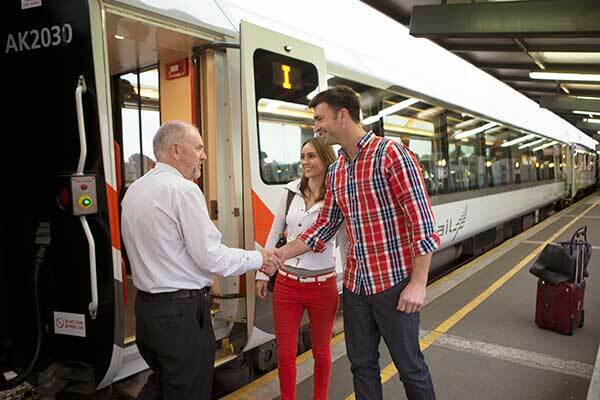 The Northern Explorer train connects with various bus and coach services at Hamilton from Rotorua and Tauranga and at Palmerston North and Wellington to and from other North Island destinations. So, sit back and enjoy a genuine kiwi rail experience on the Northern Explorer train travelling through 5 unique regions of the North Island with its spectacular scenic beauty.